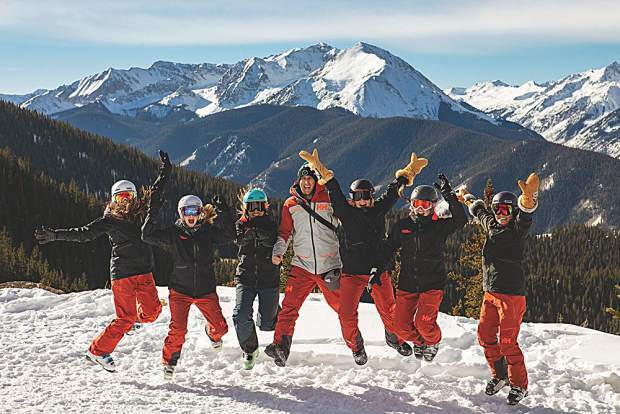 Aspen's best ski concierges are ready for winter! 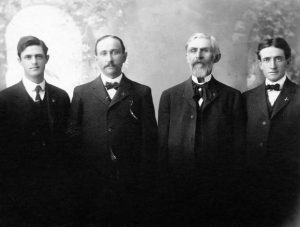 Steve Goff, Joe Idzior, Cameron Short, Ray McNutt and Jason Tie. Steve Goff photo. The calm before the storm at the Silver Queen Gondola. Jeremy Swanson photo. 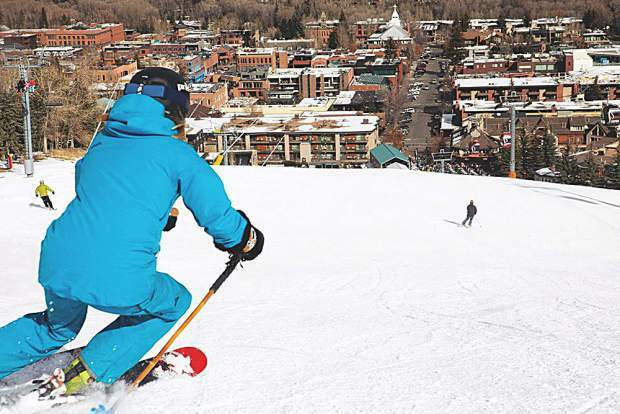 Julie Hardman and Christina King get in some early morning turns on Snowmass. Kathy Fry photo. 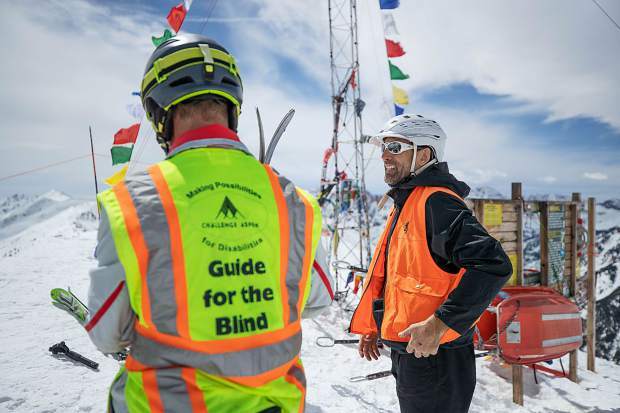 An ebullient Katie Ertl, Senior Veep of Mountain Operations for Aspen Skiing Company, counts down to first gondola on Opening Day. Jeremy Swanson photo. Andy's Angels on Opening Day: Regan Hann, Lindsy Fortier, Lauren Myatt, Andy Curtis, Tiffany Cook, Kaitlin Piosa and Jessica Jacobi. Jeremy Swanson photo. 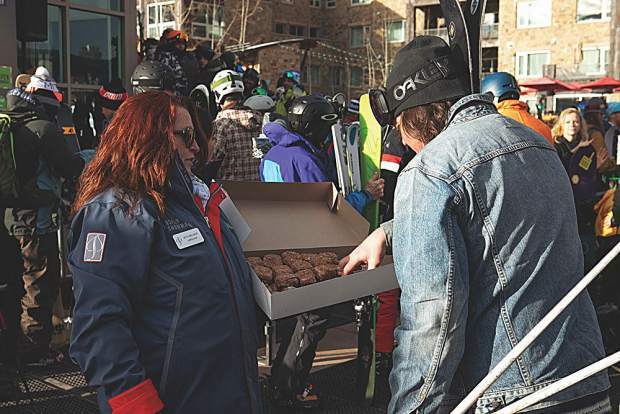 Beth Waldrop serves up sweets to the lift line on Opening Day. 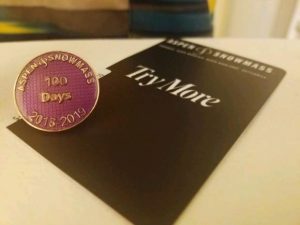 Pat Sewell stocks up in style. Jeremy Swanson photo. Fresh tracks on Ajax for Opening Day. Jeremy Swanson photo. 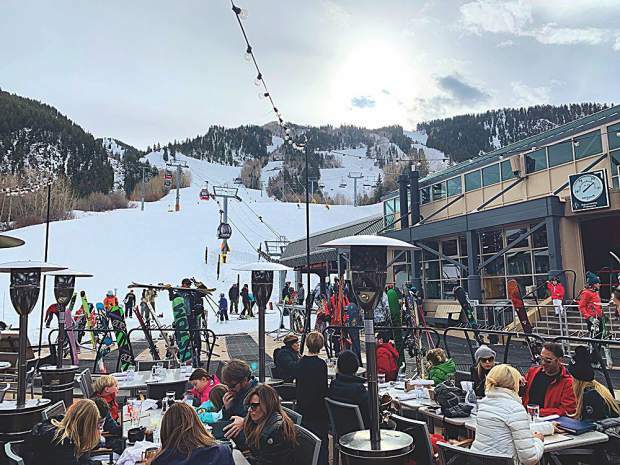 And just like that, après-ski season is back! 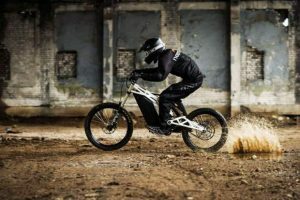 Steve Goff photo. 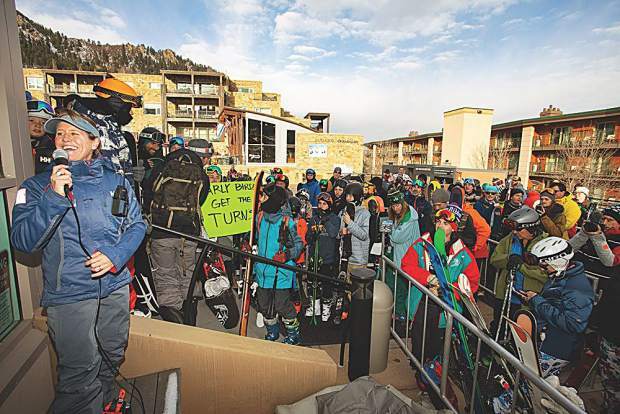 Skiing from Spar to the bar on Opening Day. Jeremy Swanson photo. 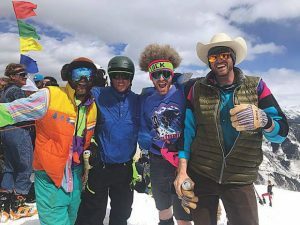 When the snow gods send blessings with blanketed slopes plus prime air temperatures for snowmaking, there’s only one way to celebrate — by going skiing! 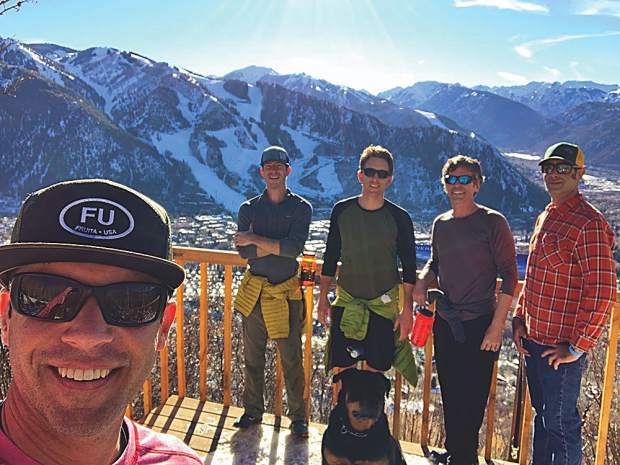 Locals started skinning Aspen Mountain over the past few weeks, strapping on boards and making their way to the Sundeck and in return for fresh turns. 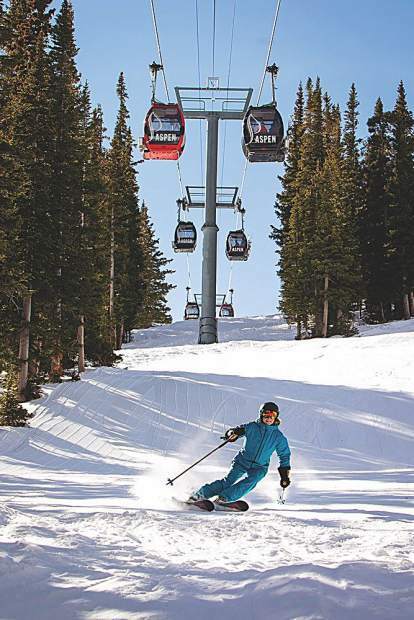 The same goes for Snowmass, Buttermilk and Highlands, as evidenced by photos on social media and tracks on the hill. 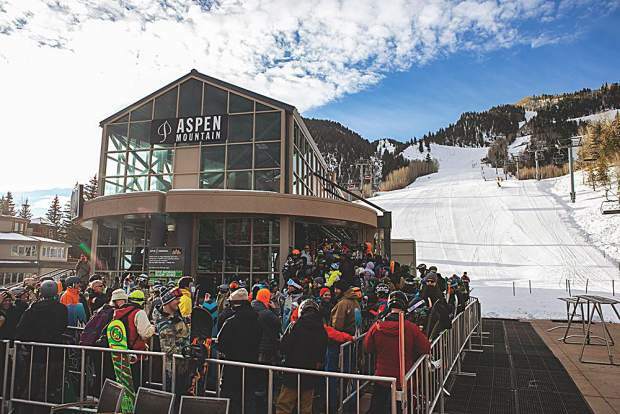 Special thanks to Aspen Skiing Company for Aspen Mountain’s early Opening Day over the weekend with four lifts running and 184 acres of terrain for skiing and riding. 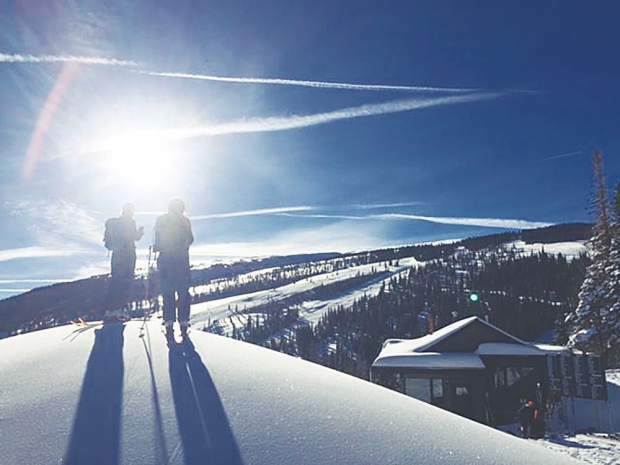 View the grooming report for updates and get out there!